The more we dig into Paul Ryan’s budget proposal, the more we start to see a theme in the way it deals with health care: cost shifting. It solves the federal government’s budget problem not by reducing the underlying cost of care, but by shifting the responsibility for paying for those costs onto others. Our last post talked about how Ryan’s voucher plan for Medicare shifts the burden of paying for health care onto individual seniors. In a similar way, his “block grant” proposal would simply shift Medicaid costs from the federal government onto the states, who could end up shifting their costs then onto the poor, disabled, and elderly. Most people assume that Medicaid is just a program for the poor, but that view isn’t completely accurate. It’s true that around 75% of Medicaid enrollees are low income adults and children, but the majority of Medicaid’s spending (about two-thirds of it) goes to seniors and people with disabilities. How does Medicaid work now? The cost of Medicaid is split between the states and the federal government, with the federal government paying anywhere between 50% and 83% of the costs, depending on the state. The federal government sets certain minimum eligibility standards, but states can expand the program if they choose. States can decide who else is eligible, what other conditions will be covered, how care is delivered, and what providers are paid. States can’t cap or close enrollment to eligible people. So once a state decides to cover a certain category of individuals, it has to cover everyone that applies. It can’t limit enrollment to say, the first 10,000 people that sign up, or stop enrolling people once the costs of the program hit a certain limit. Federal payments are guaranteed to states on an as-needed basis. The federal government is obligated to pay it’s share of each states’ Medicaid costs, whatever those costs turn out to be. This uncapped payment system helps ensure that coverage is available during economic downturns, when unemployment rises and income levels fall, leading more people to turn to Medicaid. Under a block grant system, the amount that the federal government pays each state is capped to a predetermined amount each year. The implication is that states have some secret Medicaid policies they’ve been dying to try but that the federal government simply hasn’t let them attempt. But the truth is there’s been a tremendous amount of experimentation in Medicaid over recent decades. Some of these reforms have worked well and some haven’t worked at all, but none have solved the basic problem that covering the sick and disabled costs money, and you can’t get around that by trying to redesign their insurance packages. 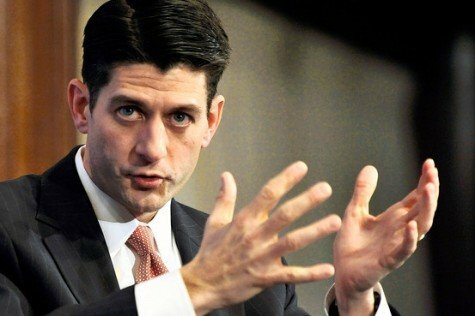 The problem with Ryan’s plan though isn’t necessarily the block grants themselves– it’s the massive cut in finding that comes along with them. For example, conservatives point to Rhode Island as a successful example of block grants. In 2009, the state accepted a block grant from the Bush administration that capped the amount of federal Medicaid funding it could receive for five years, in return for increased flexibility over the program. Since then, state Medicaid expenditures declined. So why not convert Medicaid in every state to a block grant? If every state received a Rhode Island-type grant, Medicaid expenditures would increase dramatically. That’s because the Bush administration established a cap that was “above what the federal government otherwise was expected to spend” and gave Rhode Island additional federal Medicaid funding to help pay for services it had previously self-financed. And that decrease in state Medicaid expenditures? That was largely due to $400 million in federal stimulus funding– money that the state would have received with or without the block grant. And CBPP points out that many of the cost containment measures that Rhode Island put into place could have been done without the block grant waiver. At best, Rhode Island shows that a block grant system can work if the level of the grant is set really, really high. But that’s not what Congressman Ryan has proposed. Instead, Ryan’s budget proposal would cut $771 billion from Medicaid over the next ten years. The block grants would start in 2013 at levels– well below what the existing system would provide. Federal Medicaid funding would be cut another 35 percent by 2022 and 49 percent by 2030, according to the Congressional Budget Office. use the increased flexibility of the block grants to make deep cuts to eligibility, health and long-term care services, and provider reimbursement rates. 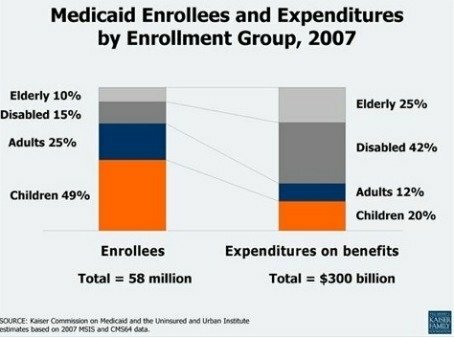 Meanwhile, just like his Medicare proposal, Ryan’s Medicaid plan ignores the underlying problem of rising costs. In the end, it simply shifts responsibility for paying those costs onto the people the program is meant to serve, which, in the case of Medicaid, are those who can least afford it.